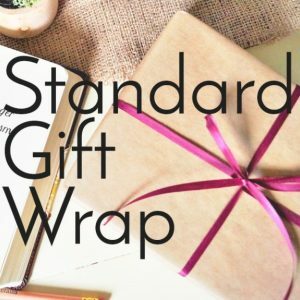 Are you ready to begin your Bible journaling journey with painting but don’t know where to start? Our Watercolor Travel Kit was designed for you! 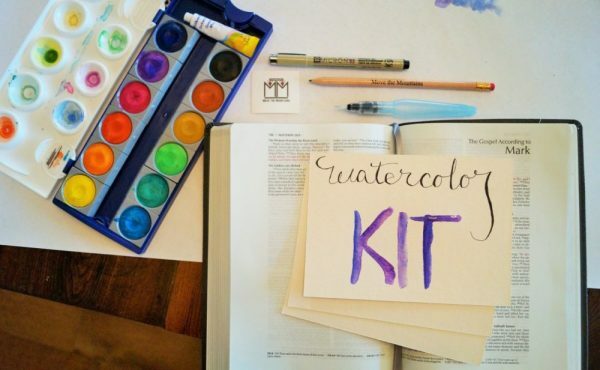 The Watercolor Travel Kit is perfect for those who want to paint on the go, whether that is at church or on the road! The Watercolor Travel Kit is specifically designed for the woman who wants her paint and tools to fit all in one little travel case! 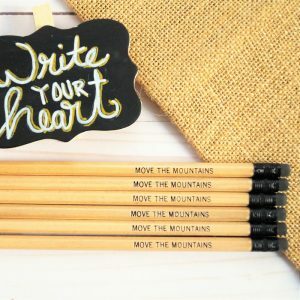 Micron pens are every Bible journaler’s best friend! They will not bleed or fade because of their high quality ink (archival ink). 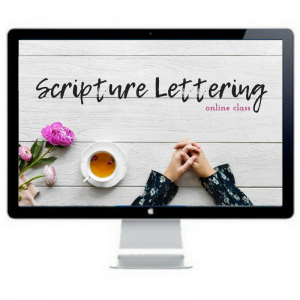 We have included 3 sizes for those who want to try hand lettering or faux calligraphy. What is an Aquash brush? An Aquash brush is a fantastic tool for painting because it holds the water in the well of the brush versus the tip so to get the right amount of watercolor onto your page. It also is wonderful for doing calligraphy (especially ombre) because of its fine tip. What is special about these watercolors? These watercolors are special because they are opaque watercolors, meaning they have a more vibrant color than many traditional watercolors. 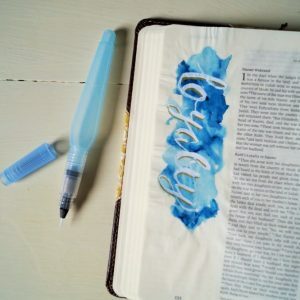 While acrylic paints easily cover up God’s Word, watercolors, even these opaque ones, don’t. Pelikan (the brand) has been in business for over 175 years and these particular paints are crafted in Germany.